The Oregon Department of Justice is dedicated to helping ensure tobacco compliance across the state. If you are a tobacco manufacturer or Oregon distributor/stamping agent, these resources are designed to help you comply with Oregon’s NPM Statutes under ORS 323.800 to ORS 323.806 and Oregon’s Complementary Tobacco Legislation under ORS 180.400 to ORS 180.455, ORS 323.248, and ORS 323.612. List of all tobacco manufacturers, brands and brand styles that are in compliance with Oregon’s tobacco laws and may be stamped to be sold to consumers in the state of Oregon. List of all of the Participating Tobacco Product Manufacturers who have signed the Master Settlement Agreement. ORS 180.441 restricts delivery sales of cigarettes (including RYO) and smokeless tobacco products. Shipments to cigarette and tobacco distributors and retailers are permitted. A seller may not ship cigarettes and smokeless tobacco products purchased by mail, telephone, or over the internet to consumers. Consumer purchases of cigarettes and smokeless tobacco products must be made in person at a retail store. The Attorney General may bring a civil enforcement action against a person who violates these provisions. The Attorney General may seek an injunction, an order disgorging profits, a civil penalty of up to $5,000 per violation, and the costs of the investigation and attorney fees. To qualify for listing on the Oregon Tobacco Directory, all cigarettes must have received approval from the Oregon Fire Marshal’s office. For questions about fire standard compliant standards, please contact Nicole Lewis at (503) 373-1825 or SFM.LP@state.or.us. Please use this form to report violations of the escrow, directory, cigarette tax, and tobacco tax statutes and rules. For more information, please visit the Bureau of Alcohol, Tobacco, Firearms and Explosives website ». All businesses distributing cigarettes, roll-your-own tobacco, or little cigars must complete the “Brand Specific Report (BSR) for Cigarettes, Little Cigars, and Roll-Your-Own Product with Oregon Tax Paid for All Manufacturers.” This report is due every month, no later than the 15th day after the close of the reporting month. Distributors are required to report distribution of the above products for all participating manufacturers and non-participating manufacturers. If you are a distributor interested in submitting BSR data electronically, please contact us at TobaccoEnforcementBSR@doj.state.or.us. 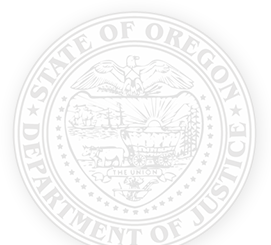 Under ORS 180.435(3), all distributors who affix stamps to cigarette packages are required to provide the Attorney General with an e-mail address for notice and changes in the Oregon Tobacco Directory, in accordance with the provisions of ORS 323.005 to 323.482. Under ORS 180.400 to ORS 180.450, all participating manufacturers that intend to sell cigarettes within the state of Oregon are required to file this certification form prior to selling any tobacco products in Oregon. Annual certifications with supporting documents are due on or before April 30 each year. To add or change information for the current sales year, a participating manufacturer must file this certification as a supplemental certification at least 30 days prior to any change or addition. Under ORS 180.400 to ORS 180.450, all non-participating manufacturers (NPMs) that intend to sell cigarettes within the state of Oregon are required to file this certification form prior to selling any product in Oregon. Annual certifications with supporting documents are due on or before April 30 each year. To add or change information for the current sales year, a non-participating manufacturer must file this certification as a supplemental certification at least 30 days prior to any change or addition. If an NPM is not registered to do business in the state of Oregon, then it must appoint and continuously engage the services of an Oregon Registered Agent to receive service on their behalf. The NPM must also file proof of the appointment and availability of the agent to the Attorney General. ORS 180.430(1). This form and supporting documentation must be submitted with the certification form and remain current. Pursuant to Or Laws, ch 687, § 2, a Non-Participating Manufacturer (“NPM”) located outside of the United States must provide a declaration from each of its Importers to the United States of any of its Brand Families that such Importer accepts joint and several liability with the NPM for all escrow deposits due pursuant to ORS 323.806(2)(a) as well as all penalties and other relief available to the State of Oregon pursuant to ORS 323.806(2)(c). Pursuant to Or Laws, ch 687, § 9, NPMs must post a bond in the amount of $25,000 or the highest amount of escrow owned for Oregon in the last twelve quarters, whichever is greater. An NPM must put money into a “Qualified Escrow Fund,” as defined by ORS 323.800(6). Oregon has a model escrow agreement to help tobacco product manufacturers set up their escrow properly. This model escrow agreement satisfies Oregon’s NPM statutes and ORS 180.415(2)(b). Under ORS 323.800 to ORS 323.806, non-participating manufacturers who are required to make escrow deposits into a “Qualified Escrow Fund,” (as defined in ORS 323.800(6)) must also file this Annual Escrow Compliance Certificate with the Attorney General. This form must be filed on or before April 15 following the year of sales. Under OAR 137-105-0020, all non-participating manufacturers are required to make quarterly deposits into a “Qualified Escrow Fund” and must file this Quarterly Escrow Compliance Certificate no later than 10 days after the due date of the deposit. OAR 137-105-0020, any non-participating manufacturers who are requesting an escrow refund due to an inadvertent overpayment of an escrow deposit must file an Escrow Refund Request Form. You may register to receive electronic notification of changes in Oregon’s Directory of Compliant Tobacco Product Manufacturers and Brands. This form is intended for tobacco retailers and the general public. A new form must be completed and mailed in as directed in order to make any changes to email addresses.